﻿﻿﻿Creaprint provides Creative Printing Solutions, Digital Printing Services, Offset Printing Services, Creative POS Solutions & ﻿Smart Marketing Displays﻿. Our Printing Services (Printing Solutions) can deliver your Advertising Messages in a Professional, Different & Creative way. 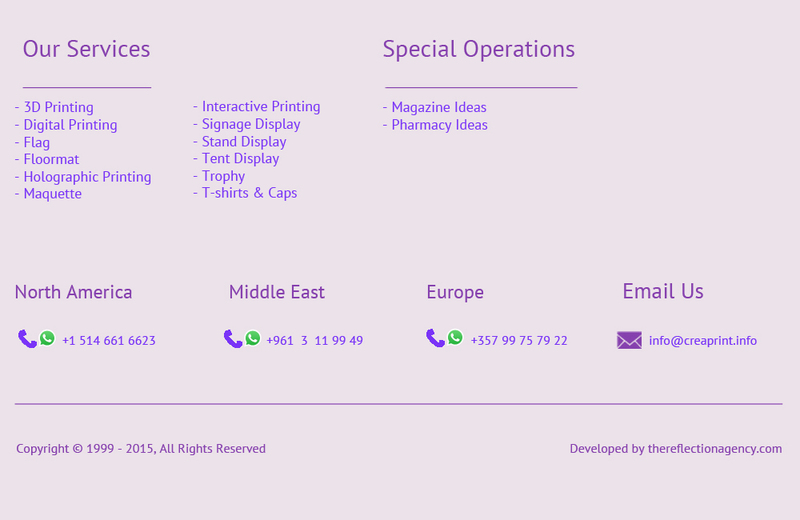 Creaprint offers you the latest Printing Innovations & the Smartest Printing Technologies.